“How many of you daydream?” Sanjeev Bikhchandani looked quizzically around the room filled with students and faculty members. He surveyed the sea of faces and notes only 7-8 raised hands. He loved to daydream, he said: when he was 10, he dreamt of a world of arc lights as Rajesh Khanna; at 11, he envisioned a fast-paced cricket career as Sunil Gavaskar; at 12, he aspired to be an entrepreneur. “We’re all a bunch of misfits,” Sanjeev described his batch of PGP ’89 at IIM Ahmedabad, which had a staggering 50 percent foraying into entrepreneurship. Their generation was not one that was brought up to change the world through entrepreneurship. Their prerogative was to study hard – the only “salvation”, as Sanjeev described it. He must have been of a different bent of mind, for one of his batch mates, Prof. Arvind Sahay, reminisced about how Sanjeev always knew that he wanted to create something. “What makes him the entrepreneur he is, is his sense of curiosity.” He highlighted Sanjeev’s knack for observing customer needs upfront. As a result, his company was not built on technology but on solid customer insight. Ideating how to solve an unsolved problem is all fine, but how do you drive yourself to actually do it? How do you take the plunge when your friends are landing corporate jobs and earning twice, thrice as much as you? Where does the motivation come from? Of course, as Sanjeev described, one factor is that an entrepreneur does not follow the rat race but creates his own track. “I was really afraid for the first two years. It took courage to leave my job. I was attached to my pay check. I was still afraid for two years after leaving – it took me those two years to get used to living off my wife’s salary!” He narrated how he stopped meeting his friends for those two years as he could not foot his share of the bill at the five-star hotels they would frequent. Financial constraints remain a major part of any entrepreneur’s life – Sanjeev was no stranger to this fact. Eventually, he took multiple jobs to increase incomes once his wife quit her job in 1995. Be it a newspaper journalist or teaching at primary schools, Sanjeev put himself through the grind to realize his dream. “You don’t necessarily feel the pain once you’re making the sacrifice, but in the long-term, it has an impact.” He may not have been able to afford to live in a better part of town, or send his kids to the kind of schools that his wife wanted to. “But that’s a choice we made,” he asserted. There is no doubt, however, that personal sacrifices are an occupational hazard: “If you dream of a work-life balance, don’t start a startup,” Sanjeev quipped, “It’s a 24/7 job, you have to obsess over it.” His theory is that most successful start-ups are not started by 50-year-olds, precisely because start ups are extremely demanding. According to him, the biggest and best companies in the world are founded by people in their early 20s. At the same time, he dashed all notions of the “glamour” behind entrepreneurship and called attention to his key lesson: keep expenses low. 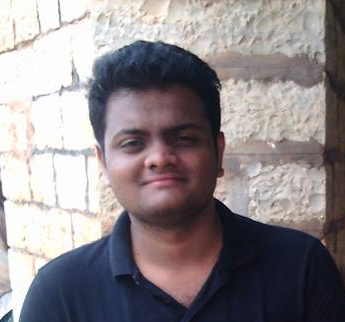 “The truth is that at the early stage of a start up, most spreadsheets you look at are fiction,” Sanjeev explained. “It’s the stuff you do to justify a deficit with that size of funding.” He recounted going through months of denial, convincing himself that he was not in a meltdown. Any money raised was kept safe and then spent judiciously. For instance, out of 1.7 million dollars at Rs 44 exchange rate, Sanjeev used only 1.2 million dollars and put the rest in the bank! How many of us think of entrepreneurs as dynamic, driven risk-takers? 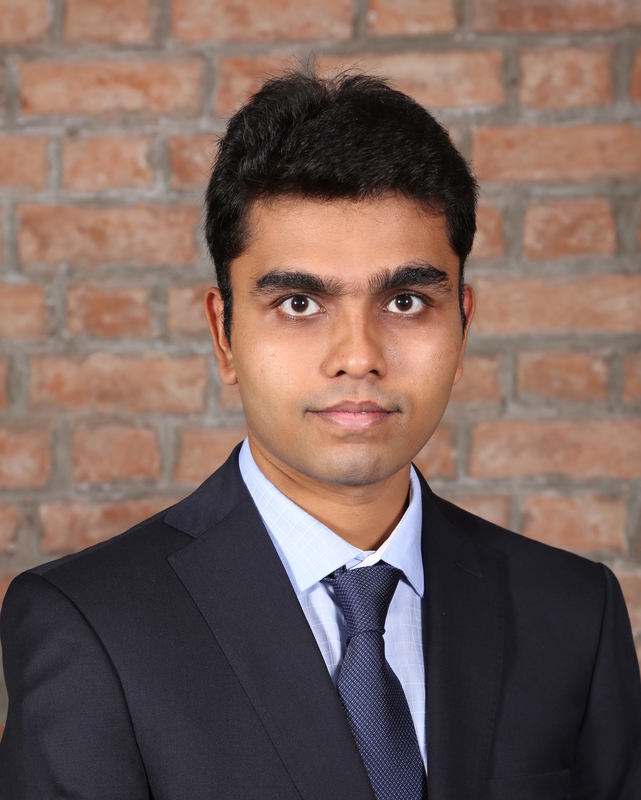 “A good entrepreneur is risk averse,” Sanjeev elucidated. “Be a little fearful so you mitigate risks.” In fact, what he drew out beautifully is that entrepreneurs often take a low-risk path, and that is, in fact, the difference between successful and unsuccessful entrepreneurs: how they handle downturns. Entrepreneurs do not need venture capital to succeed. Giants like Infosys and Reliance themselves did not start out with venture capital. In fact, there was no concept of venture capital in the 1990s but companies were built. “You might be more successful without venture capital,” Sanjeev continued, “Your customer’s money is always better than an investor’s money. If you get your customers’ money repeatedly and make a positive margin, it means you probably have a viable business.” Take note, potential entrepreneurs: if you have a viable business, investors’ money will follow, but if you get investors’ money, it’s not guaranteed that you will get customers’ money. A big believer in bootstrapping, Sanjeev emphasized how it taught him the value of money and ensured that his product looked appealing to the customer and would earn returns. To this end, he took no salaries from his own company for six whole years. “Advertisers perpetuate the myth that brands are made by advertising, so people spend more money on them thinking it’s an important function,” Sanjeev added. He stayed away from this herd mentality, focusing mainly on product and customer experience in his first 5-6 years at Naukri. They had no advertisements while competitors advertised freely with four times their money. “But we beat them because of our customer insights,” Sanjeev smiled. A common question that came up was on the “vision” for Naukri. Sanjeev clarified that he didn’t always have a vision for Naukri. In fact, he believed that vision was often too big a word attached to entrepreneurs. 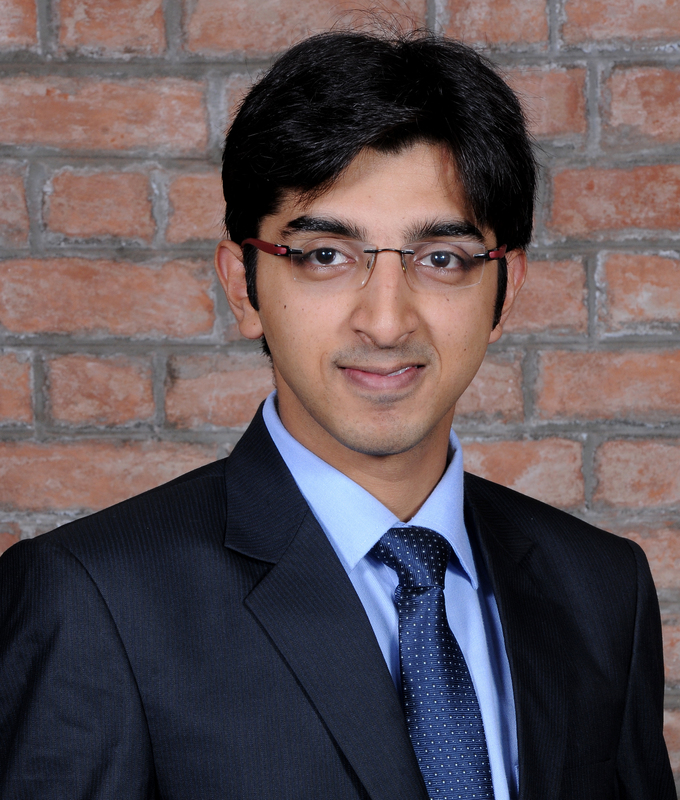 “When we launched Naukri, we had no vision. We simply said that if we can get a 1,000 companies a month to pay Rs. 500 to this one-dollar start up, that’s 60 lakhs a year. It looked like a nifty idea! Three years after launching Naukri is when I got my vision.” He’s a firm believer that vision evolves along the way but cannot be what success is attributed to. In his mind, the primary issue to be highlighted was how one sold people his/her idea. One very important issue Sanjeev addressed that was possibly on a lot of minds in the audience was the stereotype that entrepreneurs are extroverts. “This is not true. I was an introvert. I absolutely hated speaking in public. Necessity is the mother of invention.” Describing himself as a shy student, Sanjeev detailed that he stepped out of his introversion because he had to. One cannot have a conversation on a career path without criticizing the education system that came before it. Sanjeev has a different view. He swore by his education and all that he benefitted from it, extremely sure that he would do it again if he had to. “You are taught 10,000 things and you don’t know what you will use. But the point is you are taught to critically analyze and understand why what is happening is happening.” He also could not deny the fact that his being from IIMA opened doors for him. However, once the doors open, it’s up to you to go somewhere. Highlighting the problem-solving approach, Sanjeev commented that a good business school, while helpful, was not the only factor in success. 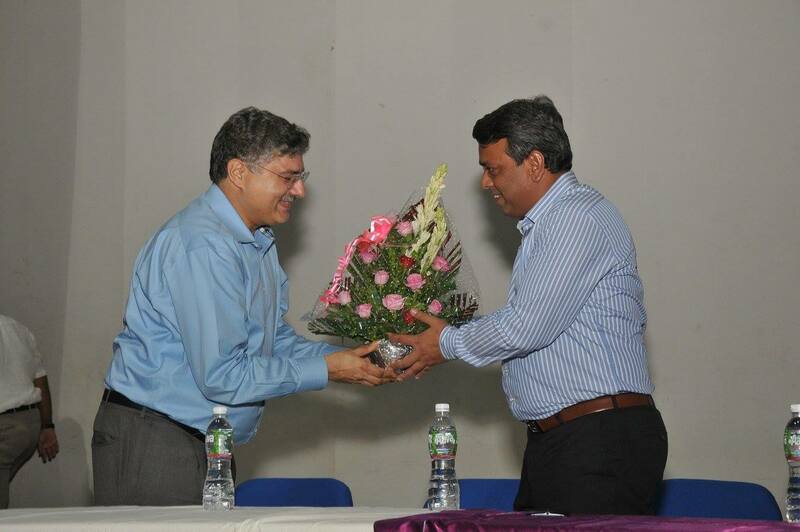 Sanjeev also assured the audience that in the beginning, most ideas were small. What was important was to dream big but start small. If one were to start small, the cost of failure would be low. “A small failure is not a failure because you’ll still survive.” In a sense, that was why he considered it better to have no money on starting up. If people were to work with you then, it would be solely because they believed in the product, idea, and person. “Be the kind of person people want to work with,” Sanjeev grinned. “You have to sell them your idea. After a few years, you’ll call it a vision.” He was met by a deafening applause from the crowd, whose questions and remarks at the end of the session suggested that a significant number of them felt more confident to carve a niche for themselves. 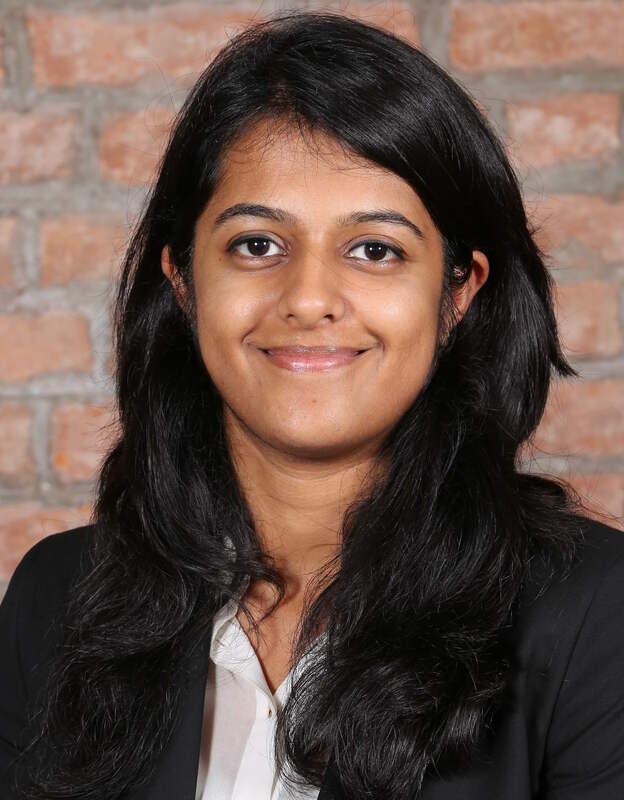 Author: Aditi Kapoor is a PGP-1 student and a member of the Media Cell at IIM Ahmedabad. IIM Ahmedabad students are confident, and often over-confident. There is something about the brand of IIM-A that stokes the fire (read, ego) inside many young students. This resultant superiority complex gets many neat things done in the world. These neat things perpetuate the IIM-A brand further. This often leads one of our seniors on a solemn Saturday late-night, or one of our faculty on a solemn Saturday early-morning, to spin some advice around it. For about 10 years, use the IIM-A brand to get ahead. Then, use your skills to get the IIM-A brand ahead. Sometimes the 10 years is 15 and sometimes it’s 5, depending on the fellow’s idealism levels – but the message is the same: Today’s students are what will uphold the IIM-A brand in a few years. The Alumni Cell is at the heart of understanding this very well, and their initiative from 2015 – the Young Alumni Achiever Award, and this year’s winners, is the focus of this article. 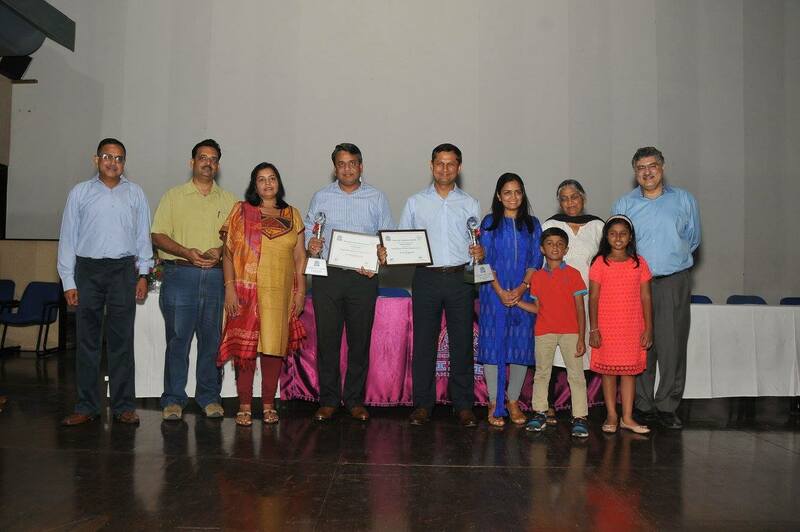 By their own words, “The program is designed to encourage and recognize young leaders who have made an impact and inspired others.“ Last year, they awarded it to Raghunandan G, Rajesh Gopinathan and Prof. Aparna Labroo. The skeptic should ask why it’s important. Raghunandan G and Aprameya Radhakrishna, for example, who are from Dorm Number 17 at IIM Ahmedabad, came down to this writer’s dorm for a little chat after the award. For the uninitiated, Raghunandan G and Aprameya Radhakrishna are the founders of Taxi For Sure, and they came in fresh out of selling it to Ola for USD 200 million. Let’s be materialistic for a moment and enjoy that. Imagine this: the pizza-party they gave made a smaller dent to their net worth than a Melody would probably make to yours or mine. That’s incredible. Now, with all materialism aside and addressed, let’s level on why this is truly important. The reason why an award like YAAA is so critical is that it makes a first-year student who just came in to a dusty room to a hot June weather believe in himself. It makes him pulse with confidence because the men he aspires to be like, are the same people around him. Who sat in similar dusty rooms many Junes ago. He’s just as likely to be the next guy with a multi-million valuation – because the dream that is a cloud in his head, manifests itself in front of him. He is struck by how the people he looks up to are all blood and flesh, same men as him who just lived 5 or 10 or 15 years ago, who probably struggled with balancing balance sheets when they first came in, who must been absolutely puzzled how reports of business communication are graded, or ran to the placement office to meet a deadline, adjusting their formal trousers approximately every 10 strides or so, in the ultimate juxtaposition of professionalism & cluelessness. And once you truly see that mental image of your ideals clicking in, perhaps you realize that you’re already where you wanted to be for a long time. The confidence kicks in. You begin to feel like you belong. He goes back to his room, and his accounting book seems simpler for a moment. Solace is taken in the fact that his confidence will stay him at least till next Friday, 1:45 pm. This section of the article deals with this year’s winners of the 2016 Young Alumni Achiever’s Awards and what they spoke about in the PGPX Speaker Series. Abhinay Chaudhari is the co-founder of Bigbasket and from the batch of 1997. His journey is in many ways what I picture as a life of an entrepreneur – there were times when he had to sell his house to sustain capital flow, there were times when optimism was pitch center on his head during the 1998 dotcom boom, and there was, according to him, a pervasive sense of knowing that ultimately, he had to be doing something of his own. The PGPX speaker session focussed quite heavily on Bigbasket and it’s retail capacity. Abhinay spoke heavily in favor of the hub-and-spoke model (Bigbasket has H&S) over the hyperlocal delivery model. His prime argument was surprisingly simple – the margins for hyperlocal were simply too low. Within Rs. 30, companies were expected to do last-mile deliveries, which is a complicated problem in a city as large as Ahmedabad, let alone bigger ones like Mumbai or Delhi. He also spoke out how he never really saw kirana stores as competition, because even now – organized retail players like Bigbasket are still 1% of the total market. Bigbasket’s primary bet is on the fact that the they’re in a market where paying a little bit more for better service is not unheard of. Within this arena, there are many problems – such as the homemaker still insisting on touching and perceiving the goods before she buys them, or orders that don’t work out correctly, but Abhinay insists that these service gaps are ones Bigbasket will actively be fixing. 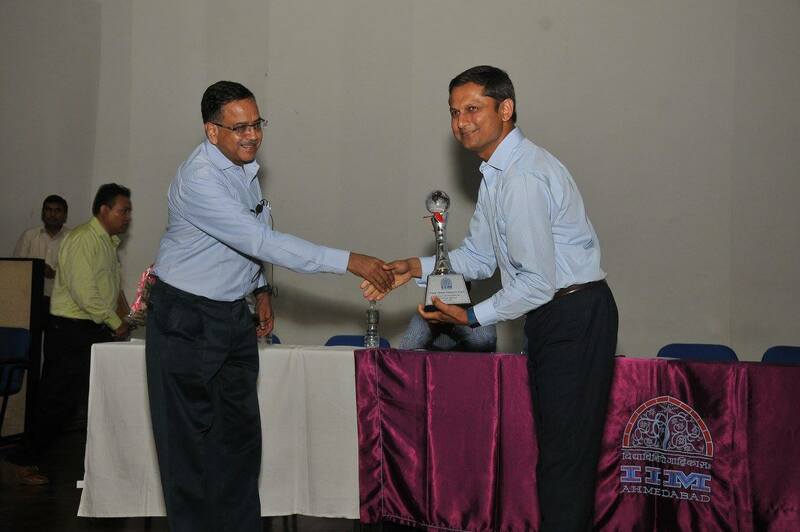 Mr. Neeraj Aggarwal being felicitated by Prof. Rakesh Basant with memento. Neeraj Agarwal is the Managing Director of the Boston Consulting Group, India and heads the India business. He is from the batch of 1999. He began his session by joking about how he was the ‘Grand Old Man’ of his batch because he joined the college having a cumulative work-ex of 5 years – and how in that sense, he related more with the PGPX batch (which has a minimum work-ex of 7 years) than the incoming PGP batch. He worked at BCG for 17 straight years since his graduation. A desire to work on complex business problems. A desire to interact with people as a significant part of his job. 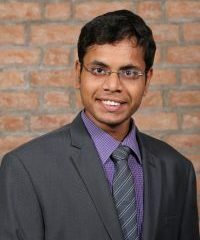 His stint at BCG especially allowed him the former, where he cited his work on the Aadhar Card (2009-2011) as one of his most memorable projects. Later in the session, he also talked about how it was important for individuals to discover their true passions, despite being good at multiple things. His core tool for dealing with a mind good at multiple things was advice around time management – being able to work smart, and getting the most out of 24 hours was one of the most important abilities to gain in the competitive workplace. The mega US$26bn acquisition of Linkedin by Microsoft, which will see world’s largest professional cloud joining hands with world’s largest professional network has caught the attention of users and professionals alike. Through the medium of this article, we attempt to break down various facets of the deal and try and make sense whether the acquisition is strategically and financially attractive for both the companies. The all-cash transaction of US$26bn, which is expected to be financed primarily by debt will see Linkedin shareholders receive US$196 per share. The acquisition is the biggest in Microsoft’s history (Figure 1). Post regulatory approvals in the US, the EU, Canada and Brazil and with no competing bids expected because of the sheer size of the deal, the transaction is proposed to close by the end of the calendar year 2016. Microsoft dominates the traditional workspace activities by offering a wide array of tools and is perceived as a ‘go to’ place for executing work; however, it has very few tools which connect different people electronically as they work (see Outlook and Skype). Through the acquisition of Linkedin, Microsoft seeks to encompass the entire workspace of an individual / corporate by virtually putting ‘desktop work’ on network and facilitating seamless interaction between the space inside and outside of the office. Further, the deal helps Microsoft enter the consumer web boom – an area dominated by Google and Facebook while at the same time, ensuring it sticks to its core competencies (with Linkedin connecting office professionals). To leverage on the existing brand, Linkedin will retain its distinct brand, culture and independence with Jeff Weiner continuing as the CEO and reporting to Satya Nadella. Speculations were also rife that similar technology / social networking companies may be acquired by the larger players having huge reserves of cash. Some of the reasons why such target companies look forward to being acquired include softening of the economy and inexperience in scaling up. Twitter, Groupon, Fitbit and LendingClub are some of the potential target companies; for that matter, share prices of Twitter jumped by 9% on news of the Microsoft-Linkedin deal. 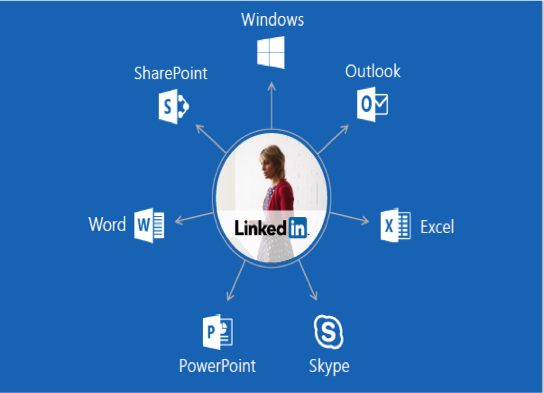 Linkedin is proposed to be integrated into various Microsoft Office tools which will make learning of the outside professional world convenient and simultaneous. Quick profile checks before meetings, getting to know of live feeds and integration of information in silos are some of the major benefits. 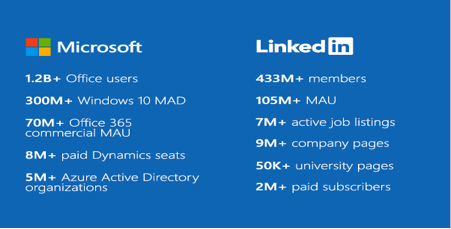 Microsoft could build Linkedin into a major customer relationship manager software such as Salesforce.com with the current analytics prowess at its disposal. The analytics and live feed provided by Linkedin can also be used in Microsoft Dynamics CRM. Cortana, the digital assistant provided by Microsoft will seek to manage professional life better with more information available. Linkedin shareholders received a premium of nearly 50% of the share price (price before the deal was announced); however, the share price at US$196 is still at a discount of 28% of the share price high that it had reached in early 2015. This has mainly been account of failure to meet expectations and stagnation in use of the platform. Microsoft has been pretty infamous in dealing with many of its large acquisitions, especially the ones which are outside of Microsoft’s core domain. After the acquisition of Nokia, Microsoft has been busy firing Nokia employees as part of restructuring and has written down value of its investments. Microsoft actually wrote down this acquisition by $7.6 billion a year later about the same price at which it had acquired Nokia ($7.2 billion). Skype promptly lost ground to better options such as Facebook and WhatsApp. Online advertising firm aQuantive, acquired to match Google’s advertising business failed because Microsoft did not know how to run it. 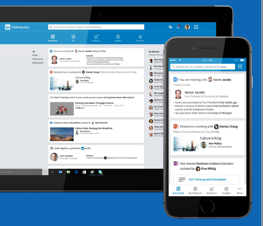 Yammer has been relegated to an insignificant position in Microsoft. Many experts have commented that the deal value is on the higher side. The consideration implies that Linkedin is paying US$247 for every current active user of Linkedin, which is a pretty steep amount in itself considering the revenue model of Linkedin. Thus, it is necessary that users keep on getting added on to the platform. 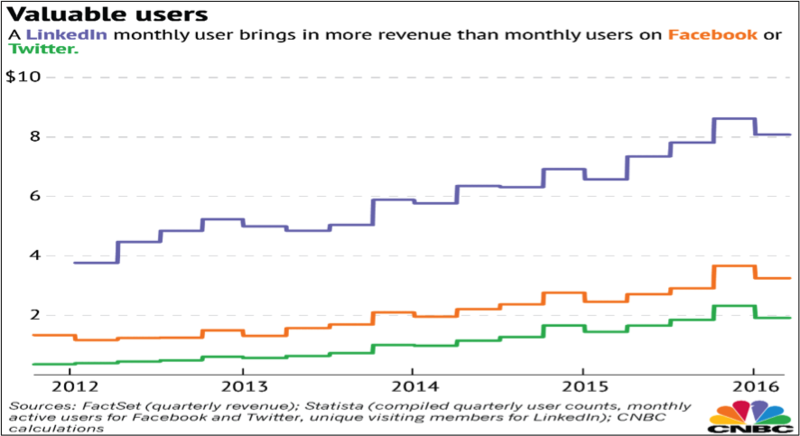 However, there are concerns around the addition of new users given that Linkedin already has a registered user base of 430mm. Users might be concerned about the use of information available on one portal on a different portal – something which even Mr. Nadella has acknowledged. Also, companies might not approve of employees using a social networking site during work hours, even though it might be useful. Inspite of the healthy cash reserves at Microsoft’s disposal, the use of debt for financing of the deal has raised certain eyebrows. Microsoft, one of only 2 companies in US with a AAA credit rating might see a possible downgrade in its rating by Moody’s with its gross debt increasing to 2 times EBITDA. The larger opinion has been that at US$26bn, Microsoft has overpaid for Linkedin. The valuation was arrived at using 8.1x trailing 12 months revenue and 6.7x forward 12 months revenue, whereas TechCrunch has estimated that average SaaS revenue multiple for a publicly traded company is 4x – 6x. 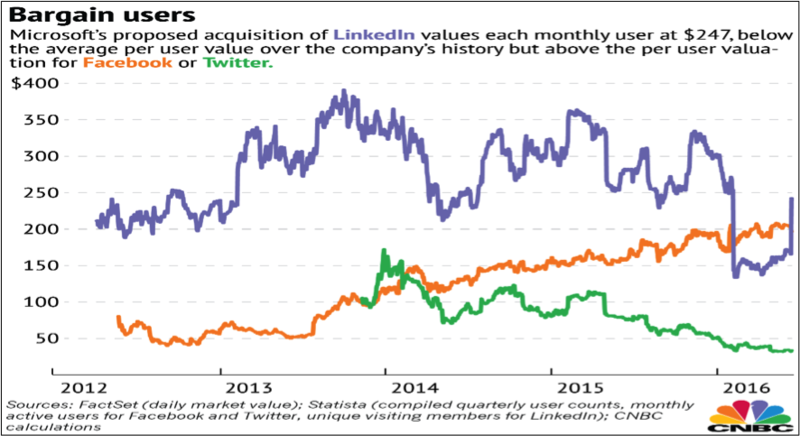 We also ran an independent DCF valuation of Linkedin as a standalone entity (i.e. without considering the possible synergies on account of the acquisition) but reflecting risk profile of LinkedIn and its peers with an implicit assumption that over the time LinkedIn’s capital and the cost of capital will gravitate towards industry average. We arrived at price per share US$89.1 for LinkedIn (pre synergies). We have also provided a sensitivity analysis of our DCF with respect to the assumptions regarding WAAC and terminal growth. Our DFC analysis price is at a 35% discount to the pre-acquisition price of the LinkedIn (5 month average price before the acquisition announcement). Microsoft’s acquisition at US$196 represents a step premium of 120% over the fundamental price of the LinkedIn. Microsoft expects the deal to be EPS accretive by FY19. 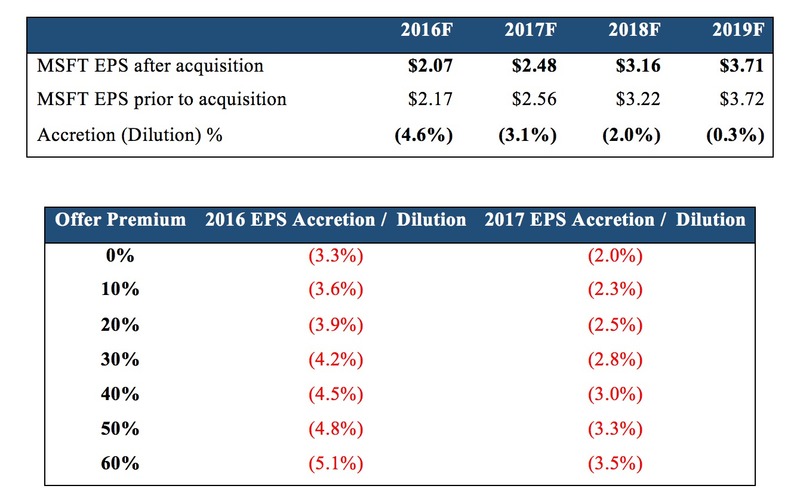 Our analysis, however expects the deal to be accretive only by FY20. Accretion improves with smaller offer premium. However, premium below 30% would have been highly unlikely to incentivize LinkedIn shareholders.The value of the investment thus arrived at was US$11.50bn indicating that the present value of the synergies that must be generated on the deal must be US$14.50bn. A back of the hand calculation shows annual post tax synergies till perpetuity must be US$786mm to justify the deal consideration, which is way higher than the US$150mm annual cost synergies expected by Microsoft. The deal has to accordingly generate sufficient revenue synergies for the purchase price to be justified. Based on the above calculations, the deal does seem to be risky for Microsoft in terms of generating its required returns and it might not have been a bad idea for a certain proportion of stock in the purchase consideration to share the risk so arising because of the uncertainty. This is exactly what Facebook did in its $22 billion acquisition of WhatsApp which was financed 82% by stock. In spite of the above calculations which are derived using rational assumptions, the Linkedin bet does not seem to be a bad one because of the quality of its user base as explained below. The deal has evoked mixed reactions from different quarters. Credit Suisse sees the potential for strategic synergies between the two companies. UBS says the deal makes strategic sense but wonders whether there will be a culture clash between Microsoft’s more grown-up culture and the younger Linkedin. BMO Capital Markets, on the other hand suggests Microsoft could have done better for US$26bn. As interesting it will be to see the future paths of the merged entity, the deal could also widespread implications on consolidation in the global technology sector. The placement process is a guarded secret at IIMA simply because of the sensitivity of the information that is handled. Nevertheless, it is important to familiarise oneself with the underlying fundae of the process to make informed choices when the process roles out. The objective of this article is not to tell you everything about placements at IIMA (it is a boatload of information and will be paced appropriately by the placement committee) but to give a general sense of how things are done at IIMA. If you want the hard facts and numbers feel free to check out the annual IPRS reports (http://www.iimahd.ernet.in/iprs/). On a similar note, this article might raise more questions in your mind than it answers, apologies for that, but you will have to hold on to them until you reach campus (or reach out to mentors for really urgent ones). The placement process at IIMA is almost entirely student run, a tip of the hat to all the placement committees who have over the years gained a reputation for their fierce work ethic and high moral standards. The process is run by them in three phases. Phase I-Summers for internships after first year; Phase II-Laterals for parallel process run for people with experience (eligibility changes based on batch average experience) in the middle of the second year and Phase III-Finals for final placement at the end of second year. IIMA is reputed to have the best bang for buck in terms of career progression globally or ROI, if you want to get all fancy about it (http://profit.ndtv.com/news/life-and-careers/article-iim-a-offers-better-career-growth-than-harvard-business-school-survey-734866). This has helped the placement process to evolve beyond looking at getting the best salary packages for its students because that is already taken care of. The process in the recent past has focussed on “fit”-getting the right role for the right candidate. This is done by breaking the process into cohorts and clusters. A cohort is a group of similar roles. For example all sales roles are one cohort, private equity roles are another cohort and so on. The number of cohorts has been increasing over the years to include newer roles like e-commerce and diverse roles like NGO management. The placement committee strives to get as many roles as possible to increase student choice and it has always been a problem of plenty for the students. It hence becomes important to understand which role you would want to take up and this is where inputs from seniors and pre placement talks help. Pre placement talks are usually a presentation given by senior management of a firm to provide visibility as to the role that is on offer and the firm in general. Attending these will not only inform you about the roles on offer but will improve general understanding of the economy. A cluster is a group of similar cohorts. 4 clusters are usually run over a period of 10 days to 2 weeks. This is a deviation from the day system followed at most undergrad colleges and it has again been created for students’ comfort. Clubbing similar cohorts lets the student get a better focus as to the type of roles they want to get into and tailor their preparation accordingly. Clustering also helps in exercising the option of a “dream”. A dream firm can pan across and within a cluster where a student can pick one or two firms that they would want to convert instead of the offer in hand. This has been possible because of the years of trust built between the institute and recruiting firms as the firms have also bought into the concept of fit, and are willing to let go of a student if the student sees himself in a different role. Most of you might have already received communication regarding CV proofs. This process starts early to ensure you have the best possible representation of your abilities on your CV. A CV more often than not serves as the initial communication to the firm about you and you know what they say about first impressions. This again ties back to the concept of fit, the firms try their best to communicate about themselves to you and you should ideally try to reciprocate this to the firm. It’s paradoxical that you are almost assured of a good job once you get into IIMA yet it is one of the most worrisome things because of the options on hand. My advice: keep calm and follow place comm. 170+ outgoing students each year. 5 continents. 33 countries. 60 partner universities. While we don’t have a strict barometer for comparison, one can hazard a guess that IIM Ahmedabad’s student exchange network is perhaps the most extensive among all universities in the country. For the uninitiated, student exchange, as the name suggests, is a process whereby students from the home institution are selected to study abroad in one of the partner institutions for a defined time period. Typically, student exchange MoUs are two-way, and the parent institution also hosts an equal number of students from the partner university. At IIM Ahmedabad, students opting to go on exchange study overseas for a trimester in their second year. A handful of them also choose to complete a dual degree with the partner university, which requires them to stay abroad for an additional term in the second year. Not surprisingly, student exchange is a much talked about topic on campus, given that a third of the students in a batch spend a semester abroad each year. While most universities select students solely based on their academic performance, IIMA rewards overall talent and is well-known in B-school circles for having a complicated, yet holistic process of selection. At A, the Student Exchange Council ranks students based on their performance in a variety of factors, with weights assigned to their performance in academics, sports, extracurricular competitions and business events. Post ranking, students sit for counselling, akin to the process followed for undergrad admissions, and select a college based on the availability of seats. The upsides of exchange are quite evident. An opportunity to spend three months abroad with outstanding peers and faculty in some of the best institutions in each geography does not require much elaboration. Moreover, for Indians going abroad, it works out to be a good bargain, as the students are only expected to pay fees at the parent institution for the exchange term. Similarly, incoming exchange students add flavour to the life on campus (engineers will understand) and take classes with the second years. Their diverse exposure significantly adds to the perspectives brought out in a classroom otherwise dominated by monochromatic views from the Indian populace. However, there are limitations to the exchange programme as well. A PGDM at IIM Ahmedabad is considered equivalent to that of a Masters in Management degree by several universities, since the admission criteria and course curriculum center around students with 0-4 years of work experience. The mismatch in student profiles restricts our ability to facilitate exchange with some of the other well-known MBA programmes, such as those offered at Harvard and INSEAD. Further, a student on exchange misses out on some of the fascinating courses offered on campus, such as Prof. Anil Gupta’s all famous Shodh Yatra. Lastly, given their absence from campus, students going on exchange are restricted from taking up positions of responsibility, an important point to note for those who enter campus with ambitions of becoming the batch’s General Secretary etc. Entrepreneurship. Valuations. Venture Capitalists. Exits. One cannot escape the buzzwords these days. Reflecting the soaring startup environment in the country, IIMA has seen a distinct push towards inculcating and encouraging an entrepreneurial attitude in the student body, and providing substantive support to aspiring entrepreneurs. Integral to this are the institutions and the people involved. Unknown to many students, the Centre for Incubation Innovation and Entrepreneurship (CIIE) is the largest incubator in the country. The vibrant ceramic tree at the entrance welcomes you with the slogan of “fostering innovation driven entrepreneurship”, leading to spaces both exciting and solemn at the same time. A hotbed of startup activity across a number of sectors, CIIE is a rich resource for aspiring entrepreneurs at IIMA. CIIE has 44 faculty members associated with it, either directly or indirectly, making it the body at IIMA with the highest faculty involvement. All faculty members are always willing to assist students in every way they can, from giving their expert opinions, connecting you to the right individuals and organizations, or just providing some necessary encouragement. From an academic perspective, two new courses have been introduced for PGP2s: Having an Entrepreneurial Mindset (HEM) is a compulsory course offered by a wide range of CIIE faulty, and an elective on Design Thinking – a practical framework that helps entrepreneurs navigate the haze of entrepreneurship. A landmark move by the Institute has been the IIMAvericks Internship Program, now in its second year of operation. For the uninitiated, under this program, PGP1 students may opt out of the summer placements and work on their startup ideas ideas during April and May. To cover their travel, accommodation and food expenses, interns receive a stipend of Rs. 15,000 per month. With the opportunity to work with total freedom on an idea of one’s passion, while being mentored by CIIE, along with the security of final placements, the Mavericks Internship Program is the ideal platform to test one’s entrepreneurial mettle. An alternative to the Mavericks Internship is the Entre Fair, organized by the Entre Cluba few weeks before the summer placements. On the lines of job fairs, startups line up to attract students to internships that usually involve working closely with the CXOs of the firm – dotted with offers to become CXOs yourselves. The Mavericks Fellowship Program, on the other hand, is a two-year program that allows PGP2s and PGPX to opt out of final placements. 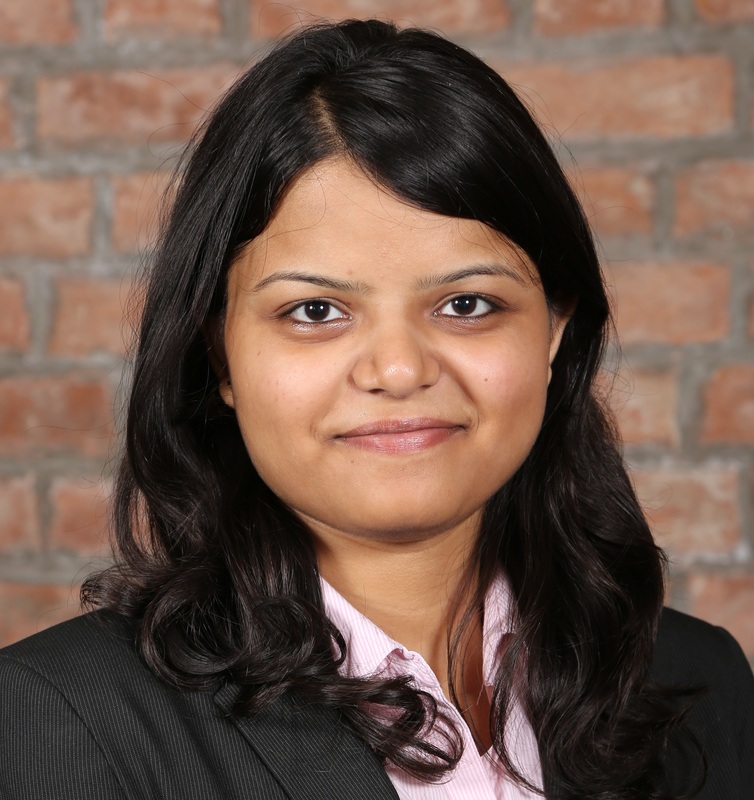 Mavericks Fellows work on their startups while still being associated with IIMA. Fellows receive a stipend of Rs. 30,000 per month. With the same perks as those for Mavericks Internship, this is a coveted option for every entrepreneur. Fellows have the choice to return for final placements at any time during the two years. Historically, with hardly anyone choosing thus, it is little more than a pacifier for the almost inevitable opposition from the entrepreneur’s family. Often a milestone event for anyone with an entrepreneurial seed – and even otherwise – is Prof. Sunil Handa’s legendary Laboratory in Entrepreneurial Motivation (LEM) sessions. An IIMA alumnus and a highly successful entrepreneur himself, Prof Handa’s LEM sessions have inspired hundreds of students all across the country to embark on the path of entrepreneurship. 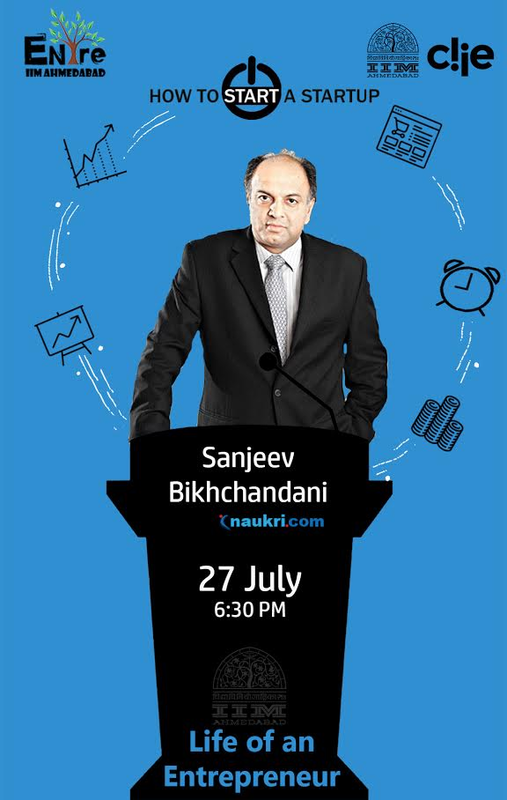 A must-attend for every PGP1, he outlines with emotional candour and a moving force why a corporate job is not the best utilization of an IIMA graduate’s abilities and that the financial rewards of entrepreneurship can be far higher than what a corporate career has to offer. For a number of the current Mavericks Interns, including yours truly, the LEM sessions played a significant role in pushing them towards the path less trodden. From the students’ side too, facilitating entrepreneurship is gaining traction. The Entre Club remains active throughout the year and hosts a number of events including speaker sessions and panel discussion, and conducts activities such as the Management Clinic and the Entre Fair. The Entre Club, together with CIIE, links to the A-League, a network of colleges from Ahmedabad and Gandhinagar. The A-League holds events such as IdeaThon and IoT Hackathon, and helps connect individuals from different backgrounds to come together and collaborate towards starting up. All in all, IIMA is pushing the right levers to promote the entrepreneurial spirit. Its success ultimately depends on whether the attitude seeps into the students and how far they’re willing to go with the myriad of opportunities on offer. “Do barriers of entry make an industry attractive or unattractive?” asked the professor as he turned to face a class of 90. He is joking right? We are about to complete one year at IIMA and he asks us this question? Barriers are unattractive or they wouldn’t be called barriers. Duh! Someone from the back shouts “Depends on which side of the barrier you are on!” There is scattered laughter in the class at that cheeky but predictable comment. By now, you’re so tuned to this bunch of 90 people that you can predict the stuff they say before they even say it. You can also guess how the professor will discuss a particular case. You’re a long suffering veteran now. Umm..well, IIMA is IIMA. It cannot be compared to some industry, right. Right? You look back on quizzes, assignments, exams, placements, the soul-breaking competition and the near permanent sleep deprivation. Definitely not attractive. But….well…ummm…. And that, ladies and gentlemen, is what the pedagogy at IIM Ahmedabad is all about. It is designed to surprise when you think you are finally getting a hang of things. In simple terms, we follow a case-based pedagogy which essentially means that there is very little in terms of theoretical knowledge and almost every subject stresses on application. More often than not, we study a case per subject per session where we analyse a certain situation faced by a company and come up with our solutions to the issues faced. While that’s great and stuff, the real superstars of IIMA are the professors. They don’t simply teach. Some lectures are 75-minute session of theatrics, complete with variations in voice. expressions and emotion. Some just nonchalantly dismiss such banal things as the country’s fiscal policy or certain world views you hold so dearly. Some look like they are the sweetest people alive and then trap you in a web of arguments. Some are supposed to teach you about law but end up giving valuable life lessons through discourse on philosophy. Some make you understand a concept with “Kabir Das ke dohe” and its hilarious English translations. And some professors make you feel how feeble your solutions really are, a testament to your inexperience and how much of the world you are yet to see. My class used to replace the nametags of some students with some funny names and the professor was a sport and read those out while asking questions to those students. In his final session, every student replaced their nametags with nicknames. The professor was stunned and he spent the entire class addressing people by their nicknames and took a picture of the class with his phone at the end. As I look back at the past year, these amazing moments with the faculty stand out. How every student at a perennially well-dressed professor’s last session wore a shirt and tie to fulfil his lifelong wish of seeing a room full of well-dressed professionals; how a professor conducted a simulated game of Kaun Banega Crorepati to test the class’ understanding of the concepts learnt; how a professor gave an emotional narration of how he had to change his teaching style to keep up with the times as the class gave him a standing ovation. And then there are the students themselves. There are so many different faces, so many personalities and if you set out to it, you could learn a lot from them – and not just in professional life. The best part of any class is when a student who has prior work experience in the company whose case you’re studying tells the tales of the ground realities. In a class of 90 odd people, you often get a wide variety of views. Some you agree with, some you don’t and the clash of the detractors is a great spectacle that plays out in class. IIMA teaches you punctuality. An 8:45AM class means you have to be in the class by 8:45AM. Class Participation (CP) points are closely monitored and the class makes sure you do not get away with putting up random points in front of the professor. The students are allotted to study groups at the beginning of the academic year and all the group assignments, presentations are done within the group. Some of your group members become your best friends and there will be many times when you put up all-nighters in the dorms or library for a submission. All in all, the “A” in IIMA does stand for Academics, but thankfully, the students, the faculty and the administration make sure the ride is well worth it. I came across a book extract about the paradox of choice explaining how a multitude of choices makes one more stressed out than having fewer options that entail relatively straight-forward decisions. I must acknowledge it to be a first-world problem but it certainly is the one that quite a few people reading this post right now would be facing. This post is not about how IIM-Ahmedabad is that B-school par excellence that you must de-facto accept. If we were to make desperate attempts to sell IIM A, the point that this article is trying to make already stands defeated. It is just a perspective on why I chose to call this place my own. To be honest with you, the luxury of choice does enable one to have a relatively unbiased point of view. I decided to not take the situation for granted and plunged into my research. As I started I was expectedly barraged with a bevy of opinions. I frequented all the city meets, joined several Whatsapp/Facebook Groups and raked up all contacts to talk to both current students and alumni. Campuses branded themselves in specialty areas where they claimed supremacy and my experts rated their schools along a multitude of parameters like faculty, city, weather, booze, newspaper/magazine rankings, ex-girlfriend’s dad’s aspirations and what not. There is this funny thing with expert opinions. The higher the number of experts you talk to, the more mythological this ‘expert’ creature becomes. While I do acknowledge some quality inputs, most of what was thrown at me was pure hearsay & half-baked legends from the same Quora/Pagalguy threads that my benefactors perhaps may have also read while trying to justify the choices that they had made. However, amidst all this noise, one thing that clearly stood out was at one time or the other, most of them tried to make a point but keeping Ahmedabad as their benchmark. (One business school city meet went as far as to make a PowerPoint presentation where they compared and tried to establish how they were better on a point-by-point basis). This made one thing clear. This place was aspirational. I am particularly wary that many a time, people try to equalize B-schools by comparing the maximums. For example, high profiles companies like X & Y visit all the colleges and thus it is irrelevant which one you choose. Or that even my college has IIT toppers, CAs and Doctors, and hence the peer group across a certain set of schools is similar. No. Being students of statistics, you might very well be aware that the maximum of a data set usually reveals much less about it than the median. And trust me, from what I found out, the median student at Ahmedabad has immense opportunity, whether it be in getting a shot at a gamut of companies that recruit across disciplines, exploring entrepreneurial waters through CIIE’s well-structured Mavericks program (more on this in articles to follow), collaborating with exceptionally brilliant faculty and peers, or leveraging the immense value that a brand name like IIM A creates. Uniformity in the quality of opportunity and experience was one reason I figured out why IIM A had earned the respect it enjoys across the country and beyond. Another unfounded fear that I had heard was that the place is full of “toppers” or ruthlessly hard working people and that one would not be able to sustain his or her identity or lose out on opportunity among them. The first part is very much true. You will find some of the most amazingly talented people here. Yes, they would all have had esteemed trajectories in life and would be extremely diligent in whatever they pursued. The second part, unfortunately, is not. Here I have met some of the most helpful souls who have had immense influence on me. The opportunities are aplenty and this place empowers you to live up to challenges provided you are ready to put in a sincere effort. Human beings have this quality of ‘adaptability’ that has boded well for us in this whole process of evolution. The gravity of the influence that our environment exerts on us goes surprisingly unnoticed. We tend to adjust our level depending on the people that surround us. We begin to talk like them, think like them, and fight like them. Yes, it is true that placements shortlists are extremely hard-fought but it is all about short-term loss versus long term gain. The first job of an MBA graduate lasts about 12-18 months. Brand pedigree lasts forever. The choice is yours to make. So yes, we have a rigorous case based learning pedagogy that stresses on practical learning and not merely theoretical concepts. Yes, here you will be pushed to your limits by peers who will perhaps teach you more than any textbook or teacher could. And yes, you’ll be suitably rewarded with opportunities that you have earned and are well prepared for. As Nietzsche said, ‘whatever doesn’t kill you makes you stronger’. The strength that you would muster within these hallowed red brick walls would not only prepare you for the battles that you would be fighting the next two years, but throughout the war we so affectionately call life. I talked about chinese deflation of yuan, raising anti-dumping taxes. Increase base of taxation by bringing farmers into tax net. I spoke about 1) Skill development needed for long-term sustainability 2) Govt unable to decide about MNREGA and what welfare schemes are useful. Exports haven’t picked up and one of the reason that is given is MAT on SEZs. I have seen it first hand in Jaipur where investments have dried up in SEZs. In 80C and related sections on deductions, I feel the government should look at making deductions progressive in the sense that higher deduction to higher income slabs. Through Modi government, the usual channels of investing black money or flowing money have been reduced but people are not willing to pay as high as 60% penalty, and so they’d rather keep it in their safe. This money should be channelized. I think the government should implement the universal health coverage scheme. I think the government should stick to the fiscal deficit target. Social spending cut is a step in this direction. This cut can be explained by the fact that the 14th finance commission has increased the allocation to the state government from the central pool from 32% to 42% and moreover the state government will get more that 60% of the taxes collected in the country. The government must prevent leakages by expediting the initiative it has taken i.e. direct transfer to the beneficiary through Jan Dhan account, leverage the program to create tangible assets such as roads, housing etc. and it must also strengthen the procedures involved. It is important for the government to increase budget allocation on both preventive measures schemes such as sanitation, schemes fighting child malnutrition and also corrective measure schemes such as health care.I would like to government to increase taxes on addictive purchases such as liquor, cigarettes and luxury goods such as High end vehicles. Service tax can be increased by 2% to fund additional expenditure under OROP and 7th Pay Commission. It will also align it to the imminent GST rate. The disinvestment target was not met because of depressed stock prices as most of the companies were commodity companies. The disinvestment target should be set more realistically this time round to fund the increased infra requirements. Gold Monetization Scheme – Gold bonds should be revised in accordance with the benefits offered by Gold ETFs. While one is normally entitled to a tax deduction of up to Rs. 2 lakh on interest paid on a house loan, the deduction available is only Rs. 30,000 if the house has taken more than 3 years to be constructed. Buyers should not be punished for the fault of builders delaying construction of housing projects. Hence, a similar deduction of Rs. 2 lakh should be available even if construction is delayed. The government has done well in cutting down the fuel subsidy bill from Rs. 60,000 crore to Rs. 30,000 crore by leveraging the fall in crude prices and by streamlining beneficiary targeting through the DBT system. The government should focus on agriculture and rural economy. Specifically the focus should be on sustainable agriculture, comprehensive crop insurance, fiscal incentives for irrigation facilities and cold storage. Technology should be leveraged for growth in the sector. I talked about tax reforms in REITs, problems of double taxation and need for encouraging investment in infrastructure. Tax structure should be simplified. The budget should bring in a clarity on deductions and GST. Fiscal discipline needs to be aimed at. Increase in income tax exemption slab, so that government employees especially 4th class can enjoy advantage of increase salary because of 7th pay commission roll out. I am expecting the formation of an Infrastructure regulatory authority. I am expecting Finance minster to give some policy inclination on how they are planning to tackle this problem of base erosion and profit shifting. There should be an increase of spending in cyber security, besides defense expenditure and allocation to Bharatnet. I expect no cut in social welfare related schemes. For skilling people we need primary education as Prime focus. So it should be done via centrally sponsored schemes. Higher-level skill development should be provided either in PPP mode or by government agencies like NSDC. There is a need for reduction of MAT as it negates the benefit of exemptions for promoting industry. There is also a need for defence-specific measures such as SEZ policies, tax rebates etc. and to not let capital acquisition component of the defence budget to fall due to increase in revenue expenditure. In conclusion, consistency and continuity on the path laid down in the previous budget is a must. 2015 marked the NDA’s first full-blown budget that was expected to define its vaunted reform agenda for the nation. However, the budget was met with mixed reactions. While the budget did present key reforms meant to revitalise the economy, it did so in the form of several incremental reforms rather than a few big-ticket measures. Unfortunately, legislative proceedings in 2015 were marred by Parliamentary deadlocks that stymied major reforms. The loss of the Bihar elections further eroded the NDA’s political capital. Several reforms therefore, in the last year, have been aimed at increasing functional efficiency and accessibility of existing government machinery, through delegated legislation and executive orders. Perhaps the most significant set of government policies that can benefit from process-oriented changes is India’s subsidy programme. Subsidies provided by the Government can be broadly classified into fuel, food and fertilisers. This article compares the NDA’s performance and budgetary allocation trends in delivering fuel vis-à-vis food subsidies. The NDA government has been fairly pro-active in reducing the Centre’s fuel subsidy bill, plugging leakages and streamlining benefits to those most in need of them. At Rs. 30,000 crore, the targeted fuel subsidy for 2015-16 was 50.22% lower than the Rs. 60,270 crore fuel subsidy allocation for 2014-15. No doubt that the fall in crude prices has a major part in this reduction. However, policy measures certainly have a role to play as well. After deregulating petroleum and diesel prices in its first year, the NDA introduced Direct Benefit Transfer (DBT) for LPG in the form of the PaHAL Scheme in January 2015. In just 7 months, 139 million users had joined the Scheme and in August 2015, the Scheme entered record books as the largest cash transfer scheme in the world. The Government claims that the switch to DBT alone will save the exchequer Rs. 15,000 crore annually by plugging leakages. Riding on the purported success of the PaHAL Scheme, on 1st January, 2016, the Centre announced DBT for kerosene with effect from 1st April, 2016. The switch to DBT and a concomitant reduction in the fuel subsidy budget by the NDA marked one of the few occasions where a policy change was implemented with such alacrity. It is expected that the Centre’s fuel subsidy target in the FY2017 budget will be 33% lower at Rs. 20,000 crore as a direct consequence of these measures. At Rs. 1,24,000 crore, food subsidies constituted a lion’s share of the Rs. 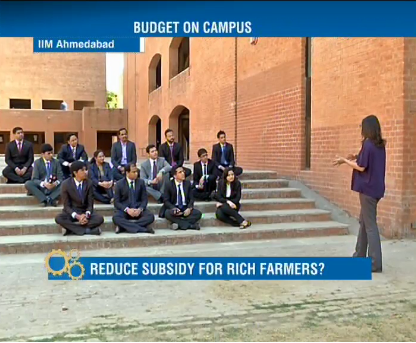 2,27,000 crore subsidy allocated under the 2015-16 budget. Unlike fuel subsidies however, India’s food subsidy allocation has been increasing significantly every year, up 298% over the last decade. The public distribution system (PDS) has been a chronic source of distress even though every successive government has tried to fix it. The previous UPA government increased the burden on an inefficient PDS by enacting the ambitious National Food Security Act (NFSA) in 2013. The result: a larger food subsidy bill with even greater leakages. Out of the Rs. 1,24,000 crore allocated for food subsidies in FY2016, Rs. 65,000 crore was apportioned for subsidies under the NFSA. The NDA Government’s approach to food subsidy reforms does not appear to be as coherent as its policy with fuel subsidies. End-to-end digitisation of the PDS was commenced by the UPA in 2012. A press release by the NDA Government in December 2015 claims that it completed the mammoth exercise of digitising ration cards across all states and digitisation of the PDS supply chain across 8 states. The Government also claims that it has cancelled 6.14 million bogus ration cards in the past two years as a part of the digitisation, purportedly saving the exchequer Rs.4,200 crore. The same press release also indicates the Government’s intention to move to a cash transfer system for food subsidies. A cash transfer mechanism would obviate the need for fair price shops and hence the need of a complete digitised PDS supply chain. If cash transfer is the way forward, then why also spend on the digitisation of supply chain? The aforementioned incoherence apart, media reports indicate that in the upcoming budget, the Government is likely to allocate a whopping Rs. 1,30,000 crore to just food subsidies linked to the NFSA, which translates into double the allocation for FY2016. By proposing such an enormous increase in budgetary allocation without completing digitisation of the PDS supply chain or establishing a cash transfer mechanism, the NDA Government will commit the same mistake that the UPA did with the enactment of NFSA before fixing leakages. Moreover, any further increase on food subsidies would jeopardise the Finance Minister’s fiscal deficit target and inhibit greater public investment in infrastructure. The time is ripe for the Government to take an unequivocal stance in its commitment to augment India’s subsidy mileage, and fuel cannot be the only driver. This blog is maintained by the Media Cell at IIM Ahmedabad with inputs from students and various clubs. Email Subscription - Stay updated!